Your Internet Explorer is out of date. For the best experience, please use an updated browser. We are proud to protect home users and small businesses from emerging cyber threats with the same next-generation technology trusted by the world’s largest companies, tailored to your needs. ZoneAlarm is proud to be the world’s first personal firewall ever created for home PCs, and one of the most powerful applications of its kind. We make your PC invisible to hackers by blocking even the most recent, sophisticated attack methods that bypass traditional security suites. Millions of users worldwide trust our powerful antivirus software. After all, free antivirus is simply not enough. You need real protection! We shield your PC from newly discovered viruses, spyware, Trojans and worms with the most advanced real-time antivirus and anti-spyware. We detect and remove threats by scanning against an always up-to-date cloud database of antivirus signatures. We protect your valuable information from the cyber criminals trying to steal your credentials by pretending to be trustworthy websites. Your antivirus can’t combat ransomware. We can. ZoneAlarm Anti-Ransomware was chosen by PC Magazine as Editor’s Choice for two consecutive years – protecting from the world’s #1 cyber threat today. We protect you from the hackers trying to encrypt your confidential data and hold your PC hostage until you pay the ransom fee. We use Check Point’s award-winning technology to encrypt your sensitive data and never-before-seen ransomware infections, all the while restoring your files. We secure your mobile digital life with the essential protection that free traditional solutions don’t provide. We enable you to shop, bank, check emails, and post on social media with the knowledge that you’re secure at every moment. We protect your device when it connects to Wi-Fi networks, and block attempts to remotely seize control of your camera and mic. You’re immediately notified about malicious apps, including ransomware. Identity theft can happen to anyone. In 2017, some 17 million Americans had their sensitive information exposed in data breaches that could easily lead to identity fraud. We safeguard your online privacy and protect your financial data from identity theft and other forms of fraud. We deliver superior protection using exclusive data encryption, including daily credit monitoring reports, emails with fraud alerts, and phone counseling (US only). This powerful weapon is extremely effective at spotting malicious files and cyberattacks that evade traditional antiviruses. We make sure you’ll only open documents and email attachments that are safe from malware attacks, including unknown zero-day types. 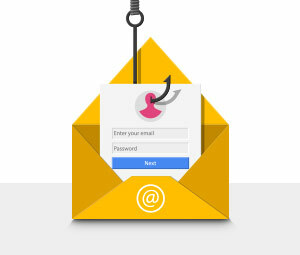 We inspect files and email attachments in a secure cloud-based environment, blocking malicious activities before they get the chance to harm your computer. Our top-tier solution keeps you fully protected 24/7. No more viruses, hacking or phishing attacks. We protect your PC. We protect your identity. Our award-winning solution protects your PC data from today’s #1 worldwide cyber threat: ransomware. Our innovative app puts your peace of mind in your own hands, with the fundamental protection you don’t get from any other solution. The essential antivirus and firewall protection against viruses and identity theft. Our advanced cyber security solutions use business-class protection to secure millions of home users’ PCs and mobile devices against the latest worldwide cyber threats. "Managed to pass all tests"
We’re glad you’re on board. Thanks for signing up for the ZoneAlarm newsletter. Our next edition will be sent right to your inbox. Subscribe to our newsletter to receive the latest security news, tips and promotions. We're sorry, there was a problem with your submission, please try again later.